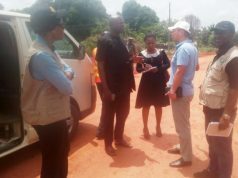 The Director-General, Infrastructure Concession Regulatory Commission (ICRC), Chidi Izuwah, said on Wednesday that about 135,000 kilometres of road network in the country were un-tarred. Mr. Izuwah said this in Abuja at the 2017 Otis Anyaeji and Nigerian Society of Engineers Annual lecture. He spoke on the theme “Transportation Infrastructure as a Catalyst for Economic Diversification and Inclusive National Development”. “Nigeria has about 195,000 km road network out of which a proportion of about 32,000 km are federal roads while 31,000km are state roads. “Out of this, only about 60,000km are paved. 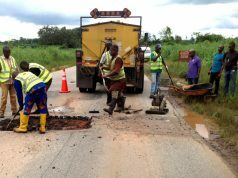 Of the paved roads, a large proportion is in very poor unacceptable condition due to insufficient investment and lack of adequate maintenance. “Private capital and management expertise will help in this area as has happened in Malaysia, India and South Africa,” he said. 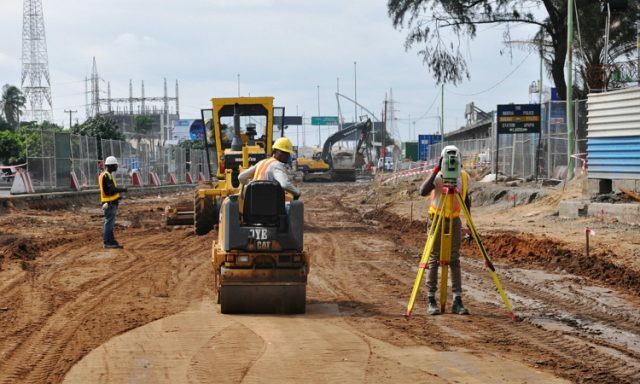 He said that Nigeria’s investment in road and rail remained low and had led to the continued under development of the country, adding to joblessness and poverty. Mr. Izuwah gave examples of successful and lucrative PPP operations in the country, especially the concessioned Apapa-Lagos container terminal, which had led to the de-congestion of the ports. 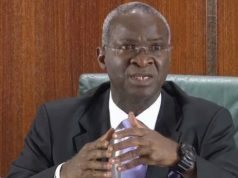 It also led to reduced congestion surcharge from $525 to $75, saving the Nigerian economy an estimated 200 million dollars a year. “We no longer hear about Wharf rats or thieves who made containers from our ports vanish into thin air easily in years gone by,” he said. Meanwhile the President, Nigerian Society of Engineers, Otis Anyaeji, called on its members to look into investing in bankable PPP projects across the country. He said this would help to diversify the nation’s economy, create jobs, improve economic activities and enrich the quality of life of the people.